Tá Gradam Shéamuis Mhic Géidigh 2018 le bronnadh ar Odhrán Mac Niallais. As Doirí Beaga d’Odhrán, 26 bliain d’aois, imreoir le CLG Gaoth Dobhair, a thug leo Craobh na Contae i mbliana, agus imreoir idir chontae freisin. "Tá an gradam seo tuillte go maith ag Odhrán as na taispeántais atá tugtha aige i gCraobh Peile na bliana seo agus Gaoth Dobhair ag tabhairt an Chraobh leo den chéad uair le 12 bliain anuas. Bhí triúr imreoir eile as Gaoth Dobhair san iomaíocht don Ghradam, ach ba é Odhrán a roghnaíodh tromlach na n-iriseoirí ar an choiste moltóireachta. Luaigh siad an taispeántas a thug sé i gcluiche ceannais an chontae, nuair a d’aimsigh sé 8 bpointe agus léirigh sé go bhfuil se i measc na n-imreoirí is fearr sa tír leis an stíl aigeantach peile atá aige, gan trácht ar a chruinneas scórála agus a ábaltacht i lár páirce." "Onóir mhór domh an gradam seo a fháil. Bhí Séamus ina fhear uasal, agus cara maith domh féin a bhí ann, mar sin tá sé iontach deas an gradam seo atá ainmnithe ina onóir a fháil." Bronnfar an gradam ag Dinnéar Bliantúil CLG Dhún na nGall san Abbey Hotel i mBaile Dhún na nGall ar 23 Samhain. It was announced today, Wednesday 14 November, that Odhrán Mac Niallais is to receive Gradam Shéamuis Mhic Géidigh 2018 award. 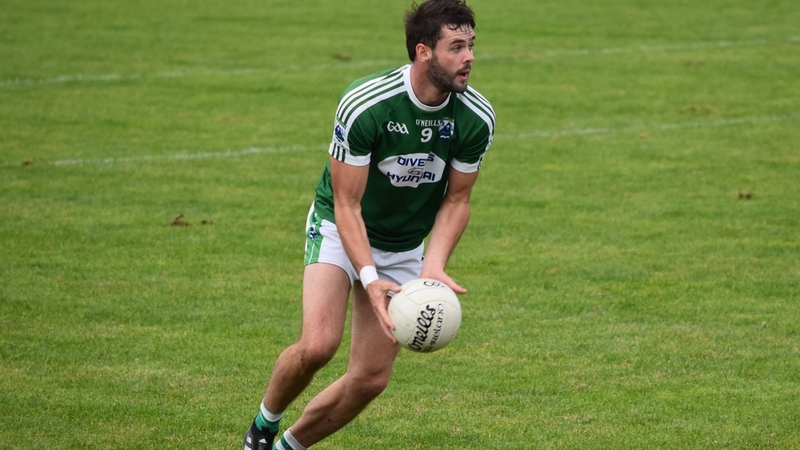 Odhrán, 26, is from Doirí Beaga in Gaoth Dobhair, and plays with his club Gaoth Dobhair, this year’s county champions, as well as being an intercounty player. "It’s a great privilege for me to receive this award. Séamus was a gentleman, and a good friend of mine, so it’s really special to be the recipient of this award named in his honour." He will be presented with the award at the annual Donegal GAA County Banquet and Award night on Friday 23 November in the Abbey Hotel in Donegal town.